After a user logs in, they are directed to the Control Panel. Here you will see an overview of activities and curren posts you are working on. By clicking on the links in your control panel or on the right side menu, you can access different parts of the back end of the site. Here you can start new posts, work on saved posts and publish posts. For more information on how to write posts, see here. You can also start a post as your Personal Diary. These posts are mainly for voicing your character's thoughts, the way they would in a diary. It is possible to do all your communications with other players through ooc-comments in the posts or on the forum. But we also have a private message system to message one or more players with a short message. 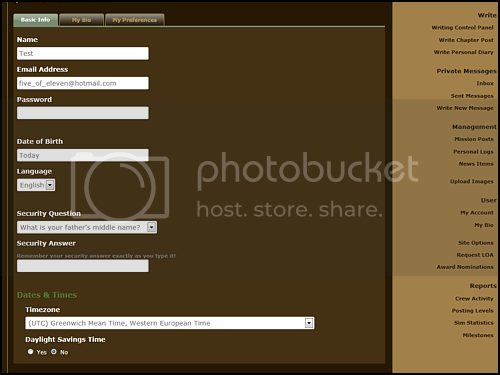 You can change or add your user data here under My Account. This is also where you can set your time zone, which is handy to keep track of how far ahead of behind other players are in their timezones. You can add or delete the information as you see fit. Here you can also set your email alerts. It is very handy to receive emails about saved posts, but if you feel overwhelmed by email, you can untick some boxes here. 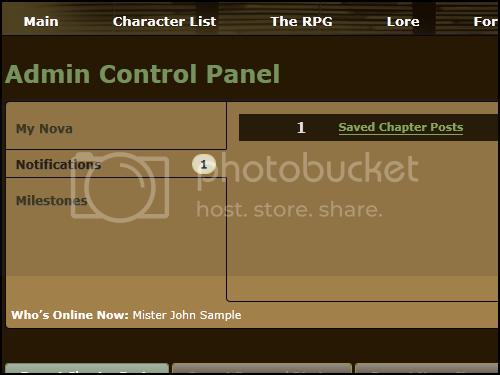 Under 'My Bio' you can add or change things for your character's biography. You can also upload a profile image to go with your bio. There is room for a credit link on your character's bio. Are you expecting to be away from the Steamhawke for a while? By setting your Leave of Absense you can let everyone know, without having to go into detail. We will still have your character participate in important events, so it will not look like they just dropped overboard. If a post has really inspired you and touched you, or made you laugh, feel free to nominate a player. You can pick the award, then select the player and give a motivation for the nomination. If you have a great idea for an award, please tell us!